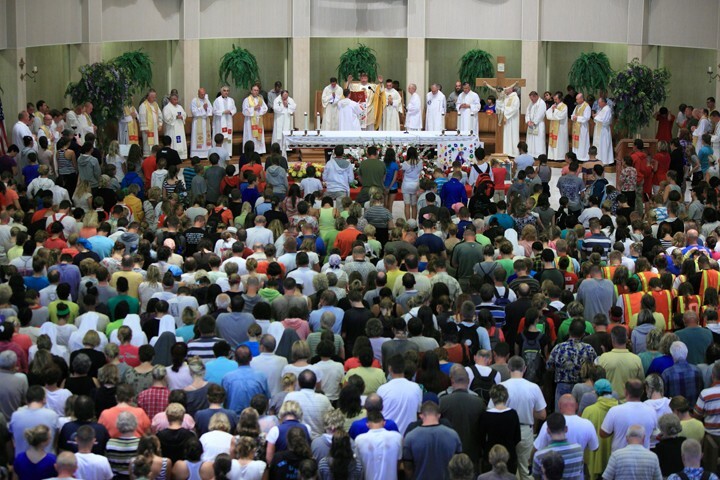 Pilgrims are welcome year-round at the shrine, according to the shrine’s website, which offers visitor information and recommends local accommodations for those traveling from out of town. 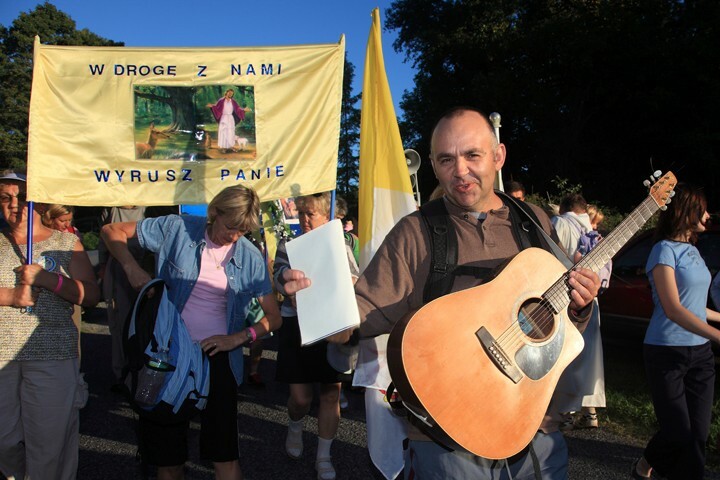 In addition to the individuals and small groups who travel to the shrine informally, there is an annual walking pilgrimage that sets out from Great Meadows, New Jersey on August 12 and arrives on August 15, the feast of the Assumption (additionally known as the “Day of the Polish Soldier”) (Lorenc 132). 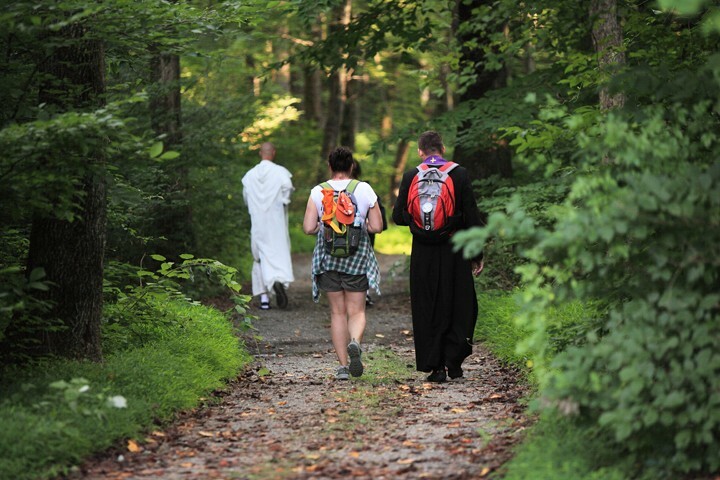 The first Great Meadows pilgrimage took place in 1988, with just 17 pilgrims; in the years since, the number of pilgrims has grown to over 3,000 (<http://www.czestochowa.us/content/view/1545/107/&gt;). 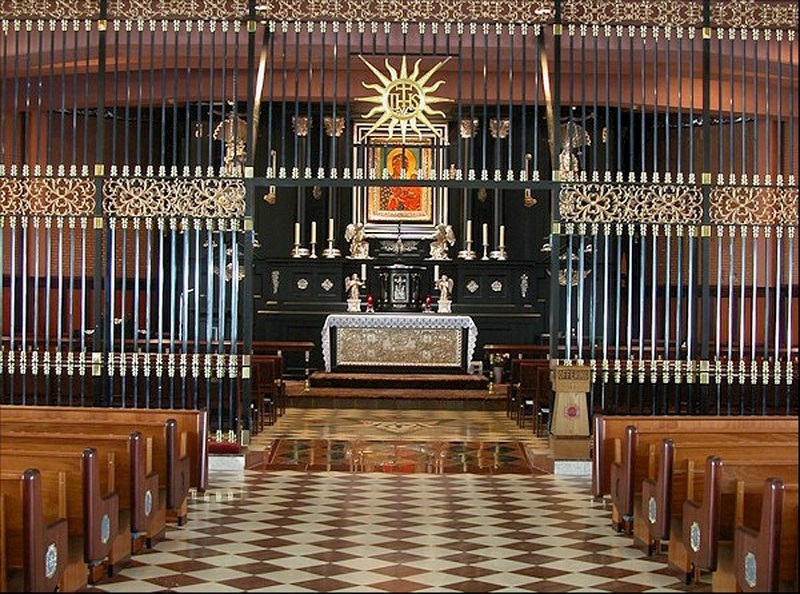 The lower-level replica is considered the heart of the American Czestochowa today, and presents the most theoretically rich questions about how the shrine functions as sacred space worthy of pilgrimage. The replica chapel, a relatively new addition, overshadowed the prior two locations where copies of the Czestochowa icon are honored (the main sanctuary in the upper level of the church, and the original barn chapel, which was moved to an area behind a large cemetery on the new land on Beacon Hill). It appears that, at least in this case, the reproduction of space is interpreted as more spiritually potent than the reproduction of image alone. A number of scholars have posited theories about how sacred spatial reproduction works in the contemporary American context. ; I will compare these theories against the case of the American Czestochowa and consider what might be contributed by a more thorough consideration of the history, current visitation and pilgrimage practices there. The central focus of the American Czestochowa is a copy of the famous icon of Our Lady of Czestochowa at the Jasna Gora monastery in Czestochowa, Poland. The icon was first installed at Jasna Gora at the end of the fourteenth century, and has been the focus of pilgrimages ever since. Beyond its religious significance, it is the central religio-national Polish symbol, which bears many layers of meaning for the Polish people both at home and abroad. Our Lady of Czestochowa is known commonly as the Queen of Poland, and she is recognized in both political and religious terms across Polonia. During the time that the American Czestochowa was founded to honor her, the symbol of the Czestochowa icon was used by religious and political activists working for the end of communism in Poland, including the Poles’ own Pope John Paul II, whose role in this historical episode is well-known. It was also a symbol used by the popular solidarity movement, whose members (such as activist and, later, president, Lech Walesa). 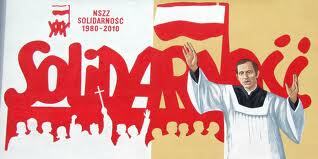 On November 19 and 20, I spent two days immersed in Polonia, the name given by Poles to the Polish diaspora. 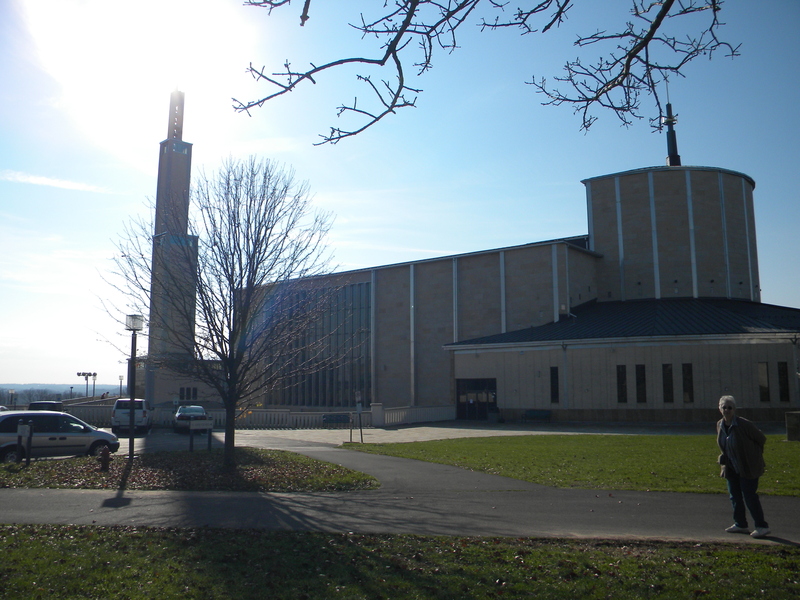 This Polonian center, the National Shrine of Our Lady of Czestochowa (most often called the American Czestochowa), is in the exurban area just northwest of Philadelphia, in Bucks County, Pennsylvania. Like many Roman Catholic shrines in North America, the American Czestochowa transposes existing sacred spaces and makes them geographically accessible on American soil. For my journey to the heart of American Polonia, I brought my mother with me, my claim to Polonian citizenship. 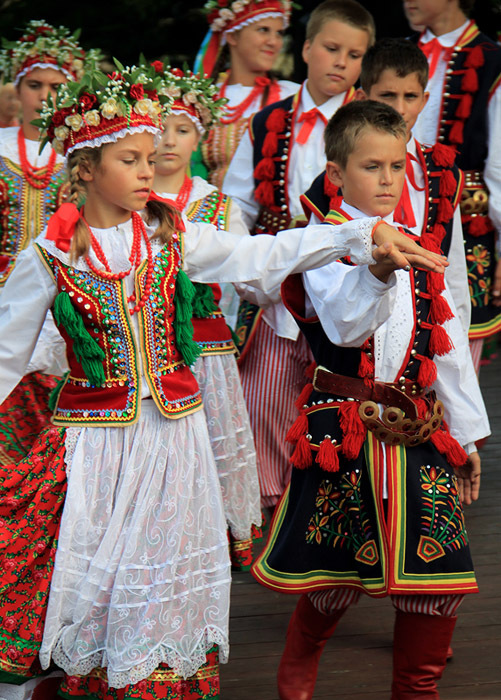 Together, we explored the images, symbols, spaces, and flavors of our Polish ancestry. Our family, like many Polish-American families, is distanced from its heritage, having dropped and changed names, language, and traditions upon arrival in the New World. The American Czestochowa is designed, in part, with Polonians like us in mind—part of its mission, as stated by its founder at the establishment of the shrine in the 1950s, is to be both a religious and cultural center where Polish-Americans can gather to learn about, participate in, and celebrate their heritage (The National Shrine of Our Lady of Czestochowa, “History”). This is a common purpose of many Roman Catholic shrines replicating Old World sites in the Americas: they are a way for immigrant communities to connect with their heritage, and for individuals to find partial answers to that all-important question, “Who am I?” As Eugene Obidinski in his article “American Polonia: Sacred and Profane Aspects,” ethnicity is a defining social characteristic, and individuals can connect with aspects of their ethnicity through the non-material (language and beliefs), material (objects and artifacts), and symbolic (flags, rituals, etc.) aspects of their ancestral cultures (Obidinski 6). The desire to create a place where American Polonia could congregate and connect with these various aspects of their ethnicity was expressed by the founder of the American Czestochowa, Father Michael M. Zumbrzuski, a Polish priest who came to the United States via Hungary and Rome shortly after WWII and the establishment of communism in Poland (The National Shrine of Our Lady of Czestochowa, “History”). According to the American Czestochowa’s website, Zumbrzuski spent his first few years in the U.S. traveling across the country and preaching to Polish parishes, where he found many Poles discouraged by the dire circumstances in Poland (ibid.). 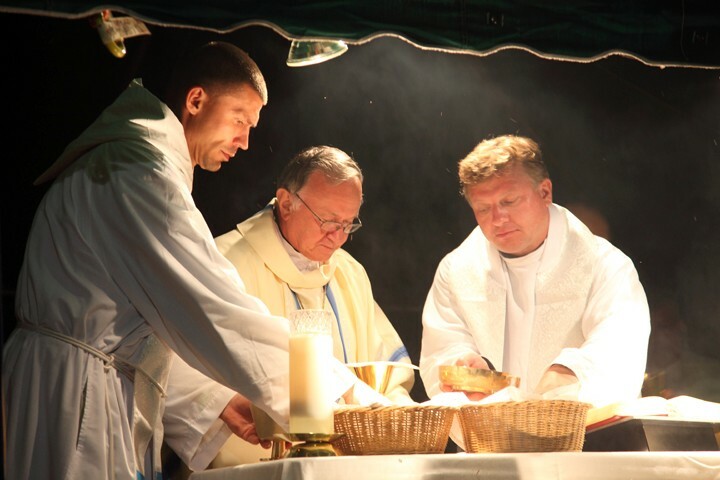 As a member of the Order of Paul the First Hermit, Zumbrzuski had worked with Polish refugees and had facilitated the construction of a modern shrine with a one-thousand-occupant capacity in Pecs, Hungary (Lorenc 69). These experiences shaped his strategy for raising the spirit of American Polonia: in 1953, Zumbrzuski received permission from Church authorities to purchase land on which to build the Shrine of our Lady of Czestochowa (ibid.). The American Czestochowa has been in a nearly continuous state of growth and expansion in the nearly sixty years since. A chapel to Our Lady of Czestochowa was dedicated in a small barn in 1955. A replica of the famous icon of Our Lady of Czestochowa had been faithfully rendered by Leonard Torwirt; the copy was sacralized in a ceremony where it “was touched to” the original in Jasna Gora prior to being placed in the new shrine in Doylestown (Lorenc 87). The small barn soon proved too small for the great numbers of pilgrims coming to visit the painting. In 1964, a much larger shrine church was consecrated across the street on the current property known as Beacon Hill (Lorenc 73). A retreat house and visitor center were added in 2000, and the lower part of the large church was transformed into a replica of the shrine to Our Lady of Czestochowa at the Jasna Gora monastery in Poland (The National Shrine of Our Lady of Czestochowa, “History”).